Is Nettogaz GC1 toxic ? NO, it is classified harmful Xn-R20 by inhalation (the lowest Xn Classification). For this reason we have provided you with modified user instructions. Is Nettogaz GC1, environmentally friendly? YES, Nettogaz GC1 has an ODP equal to 0. Cleaning in a closed circuit with recovery of the used cleaning product and waste processing ensures an environmentally friendly process. Can I clean the compressor with Nettogaz GC+ ? NO, no solvent may be used to clean a compressor. 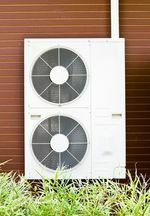 The compressor must be disconnected from the circuit in order to prevent a loss of oil which could result in damage to moving parts. The control and expansion valves as well as the filters/driers must also be disconnected or removed. How much Nettogaz GC1 should I use? In general, you can estimate the quantity of Nettogaz GC1 necessary as two or three times the amount in the refrigerant fluid (dependent on the structure of the circuit). Why is Nettogaz GC1 so efficient ? Nettogaz GC1 has a very powerful solvent graded by the Kauri Butanol index as above 60. Its boiling point of +20°C to +24°C makes it easily extractable. The possible remainders of Nettogaz GC1 are removed by flushing with anhydrous nitrogen.